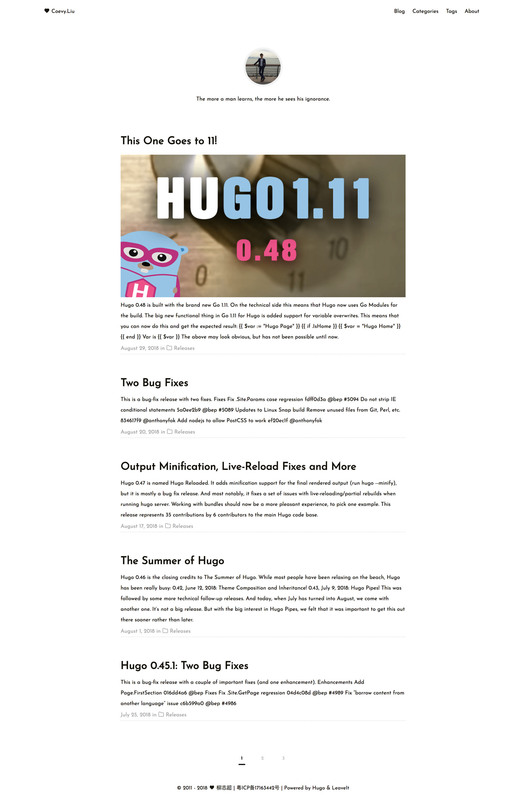 A simple, clean blog theme for hugo. 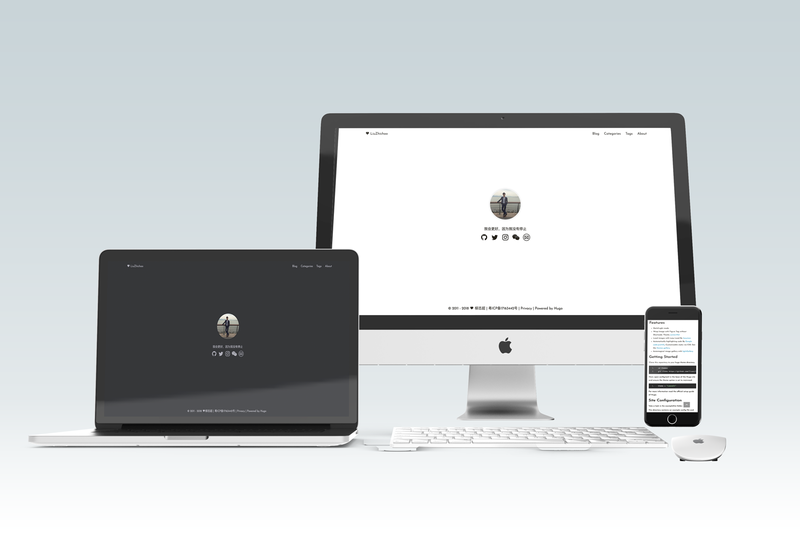 LeaveIt is a clean, elegant, simple but not simpler blog theme for Hugo. To see this theme in action, Here is a live demo site which is rendered with this theme and some content for documentation and blog posts. Automatically highlighting code By Google code-prettify, Customizable styles via CSS. See the themes gallery. into /static. They’re easily created via https://realfavicongenerator.net/. Customize browserconfig.xml and site.webmanifest to set theme-color and background-color for example. Because some functions are only in production mode, So you need to add a production environment variables when generating your site. You can click the love heart ❤️ in front of your blog title to toggle dark-light mode. I don’t think it’s a good interaction design. But I don’t have a good idea. title: "This One Goes to 11!" description: "With Go 1.11, Hugo finally gets support for variable overwrites in templates!"